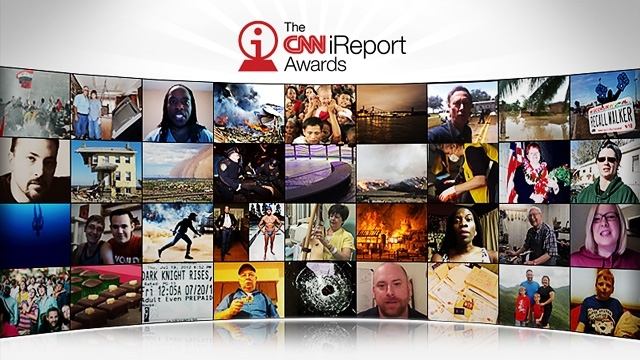 CNN kicks off today its third annual iReport Awards, honoring outstanding contributions to the network’s global participatory news community throughout 2012. Representing a medley of smart punditry, newsy videos and poignant personal essays, 36 nominees have been selected from more than 100,000 iReports. Recipients will be chosen through a combination of online voting and a panel of esteemed judges. Voters can make their selections starting today through May 6, 2013 at http://www.cnn.com/ireport-awards/. In addition to Breaking News, Original Reporting, Compelling Imagery, Personal Story, Commentary and In-depth Storytelling, the iReport Awards will highlight a seventh accolade this year – Excellence on the Web. The new section will recognize notable examples of citizen journalism and participatory storytelling from social platforms outside of CNN iReport. Audiences can also show their support for the iReport that they think best enhanced CNN’s storytelling in 2012 by voting for the Community Choice Award. Recipients for all categories will be announced May 14. Throughout the voting period nominees will be featured on CNN Newsroom with Brooke Baldwin (weekdays from 2-4 p.m ET). On CNN International, the Awards will be featured on iReport for CNN, as well as across the network’s programming lineup. To learn more about the nominees check out CNN iReport’s Facebook page , Twitter feed (follow the conversation using the hashtag #iReportAwards) or visit iReport.com for general information about iReport. CNN Worldwide, a division of Turner Broadcasting System, Inc., a Time Warner Company, is the most trusted source for news and information. For more than 5 consecutive years, CNN Digital has remained No. 1 in mobile news with an average of more than 21 million unique visitors per month. CNN’s applications for iPhone, iPad, Nokia, Windows 7 phone, and Android phone & tablet have been downloaded more than 22 million times to date. With nearly 8 million followers of @CNN, 10 million @CNNBRK followers, and more than 30 million followers across all network handles, CNN is the most followed news organization on social media and has more followers than any other cable brand. For more information, visit www.CNNPressroom.com.